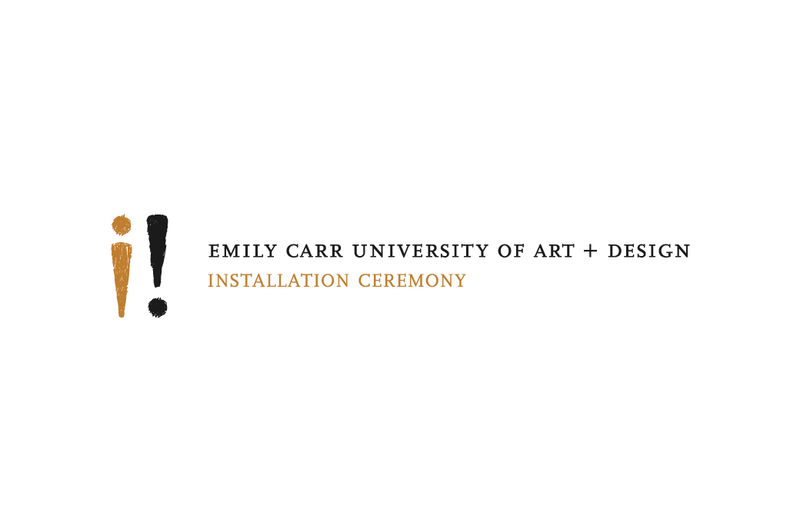 In 2008, Emily Carr was formally granted university status, becoming Emily Carr University of Art + Design. 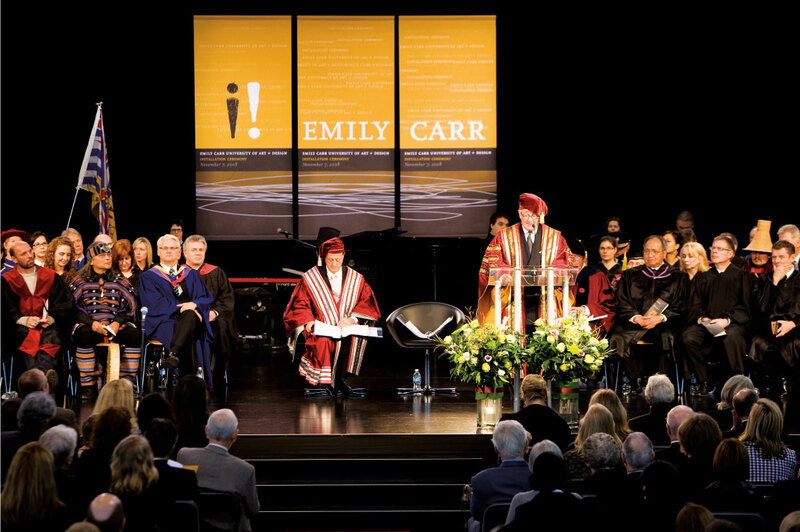 This historic phase marked the occasion for the school’s Chancellor Installation. 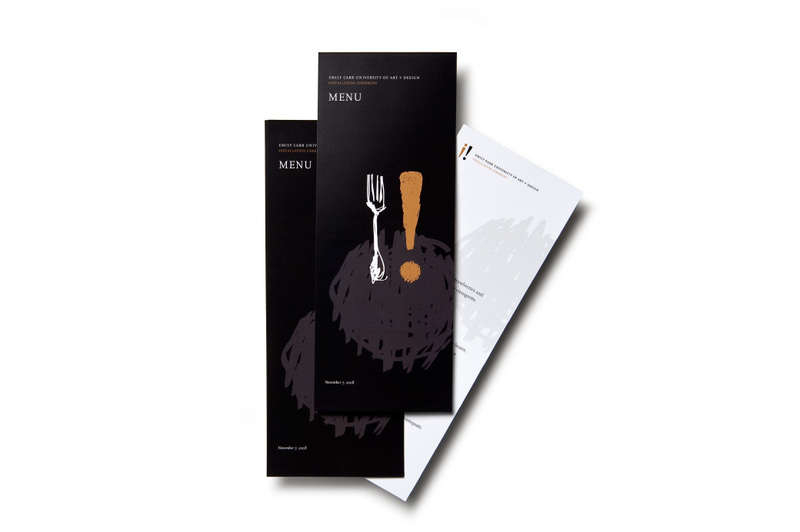 A marketing campaign was created to generate excitement for the event. 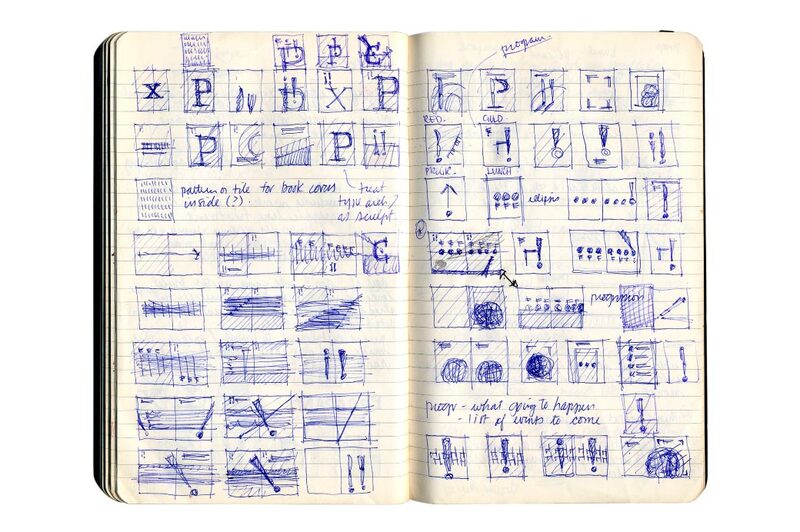 At the core of the system was a logomark, which was executed in a graphic, hand-sketched treatment. 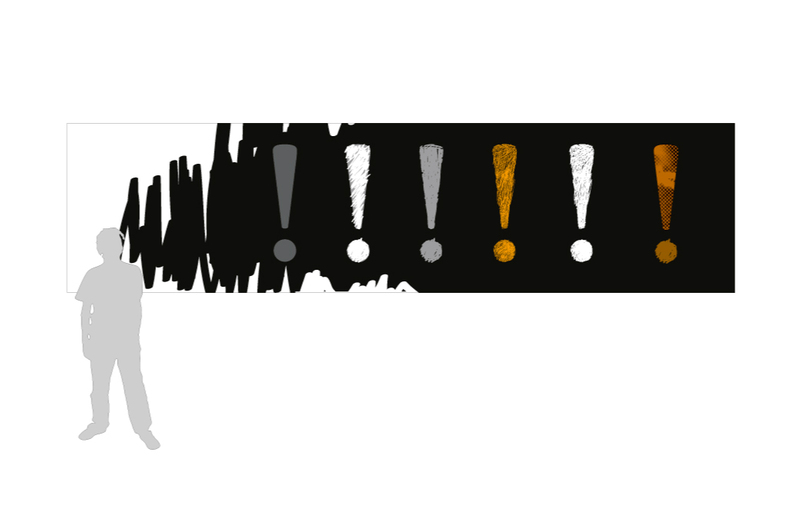 The mark consisted of two exclamation points, one inverted to suggest a human figure. 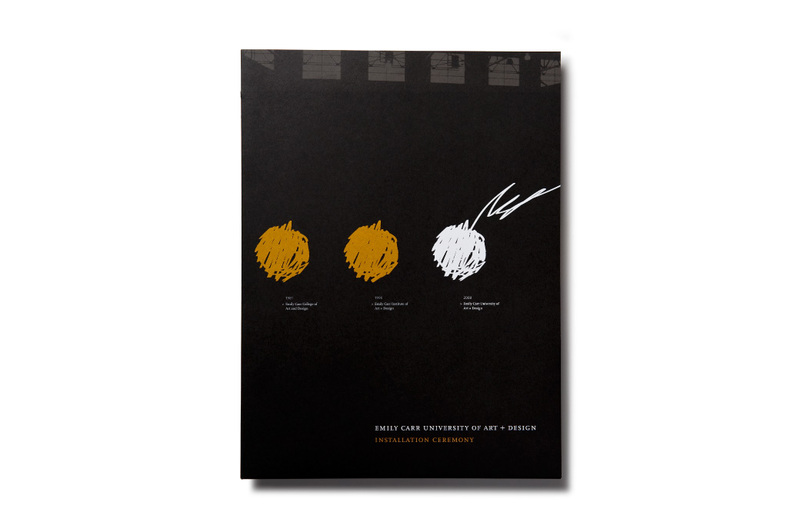 The result was a graphic symbol that celebrated the creativity, innovation and people that have been vital to the institution’s history and success. 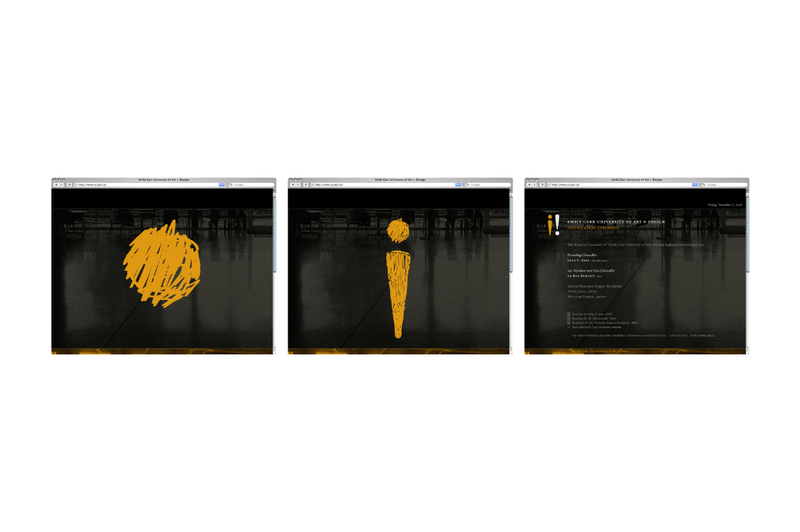 The sketched treatment and logomark were playfully extended to various applications. 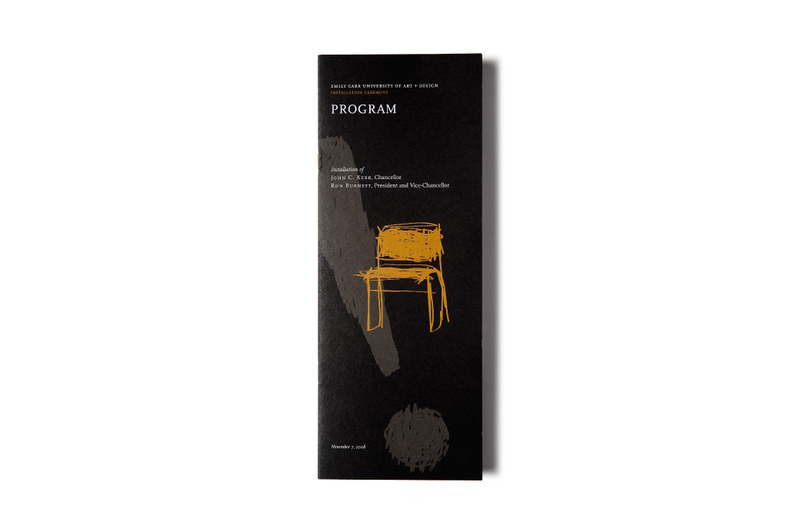 On the event program, the sketched lines morphed into a an illustration of a chair. 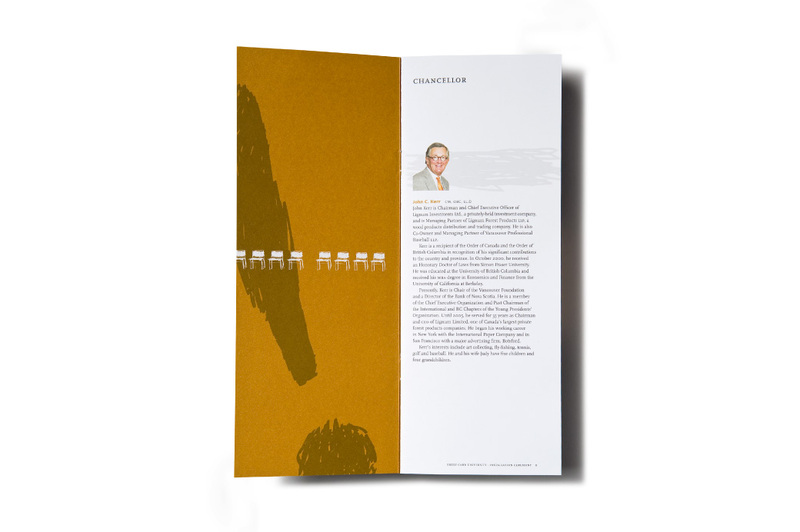 On the presentation folder, the dot from the mark was repeated in a grouping of three (akin to an ellipsis) along with supporting type underneath. 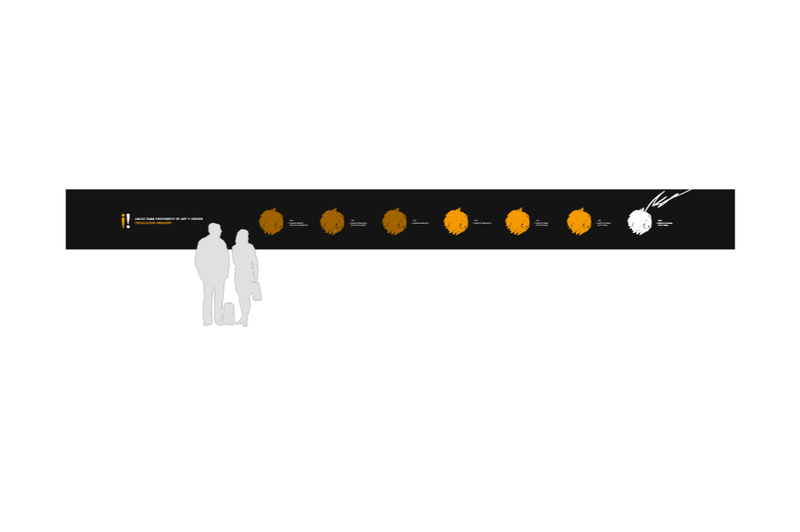 A graphic timeline for the school was thus created, representing the school’s evolution over the years. 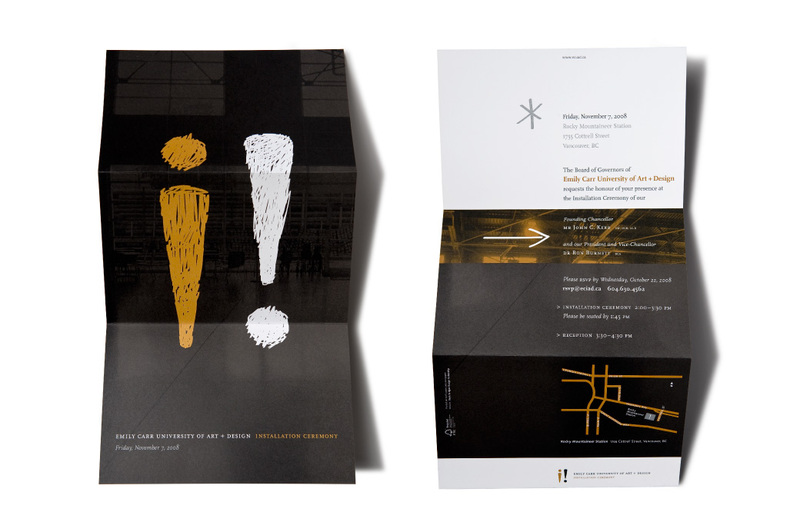 The sophisticated designs supported the university’s positioning as a premiere arts institution and contributed to the event’s success. 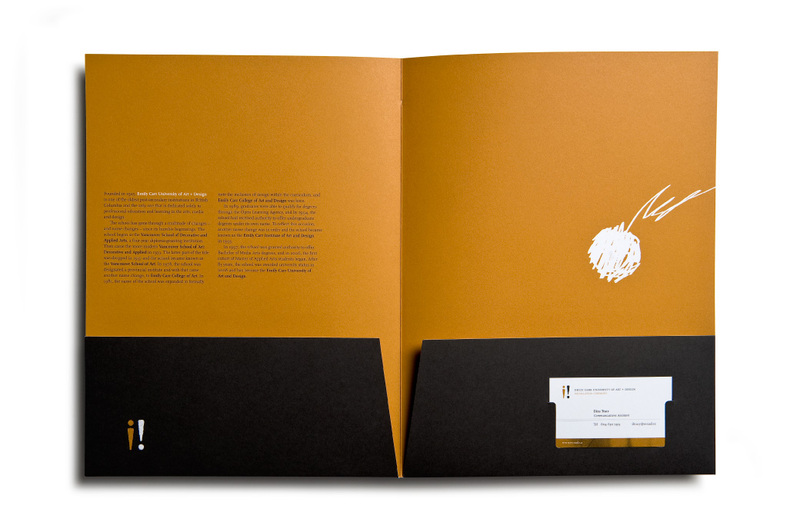 The result was a unified marketing program that appealed to an educated, arts-minded audience. John Ngan was able to interpret our requirements and articulate them into a well defined project plan. He was also able to suggest ways in which we might expand upon our original goals and achieve objectives while maintaining our budget. The combination of exceptional design capabilities, marketing skills, project management and adherence to timelines made for a positive working experience and an exceptional product.